One of my most precious possessions is a copy of the Talmudic tractate Kiddushin printed in Munich in 1946 on presses once used for Nazi propaganda. A Talmud printed on an erstwhile Nazi printing press is a powerful symbol of our privilege to use our time, our talent and our material resources to help replant vibrant, progressive Jewish learning and living in the places where the Nazis tried to destroy them. 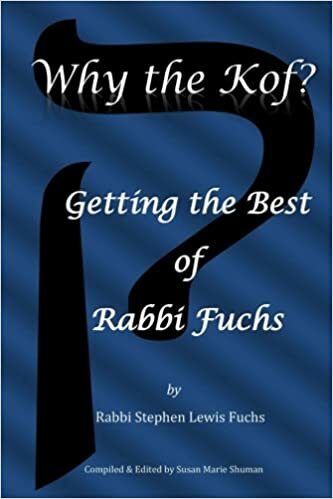 In this volume (page 40B) we find one of the most uplifting of rabbinic teachings whose message is particularly appropriate during the last month of the year, the month of Elul: Each of us should see ourselves as half innocent and half guilty, as though our good deeds and our bad deeds completely balance one another. If we then commit one good deed, we tip the scales in our favor! What a marvelous metaphor! How wonderful a place would our world become if each of us went through life committed to making our next deed a good one. My late and beloved Ulpan teacher in Israel, Sarah Rothbard, used to say, “It is not just a gift for Jews that we created a Day of Atonement (Yom Kippur) and the forty-day period (starting at the beginning of the month of Elul) leading up to it. It is a gift for all humanity. We each have talents and abilities, and our goal—particularly during the days of Elul–is to ask ourselves, “What particular talents and abilities do I posses? Am I using them only for my own enrichment or enjoyment? Or do I—and if not can I—find ways to use these gifts for the benefit of others. As I head to Germany to spend time preceding and during the Days of Awe (the period between Rosh Hashanah and Yom Kippur) and for several weeks thereafter speaking and teaching in synagogues and churches as well as the University of Potsdam School of Theology, it is with the hope that I may use my modest talents to spread knowledge, understanding and appreciation of Jewish ideals and thought in a place that once tried to extirpate the gene pool and practices of our people. Like my prized Talmud tractate I was born in 1946. My late father, Leo Fuchs, was arrested on Kristallnacht in the city of Leipzig where he was born and grew up. I look forward with both trepidation and joyful anticipation to delivering the sermon at Leipzig’s annual Holocaust commemoration this year. My presence there I hope will represent the message that the Munich Talmud conveys. In a place which once was ravaged by hatred and destruction, the reaffirmation of the vitality and goodness of Jewish thought are once again encouraged to flourish.